BLOCK belongs to a serie of sculptures created in the beginning of Novella´s career, despite this, he uses today those series in some urban performances. 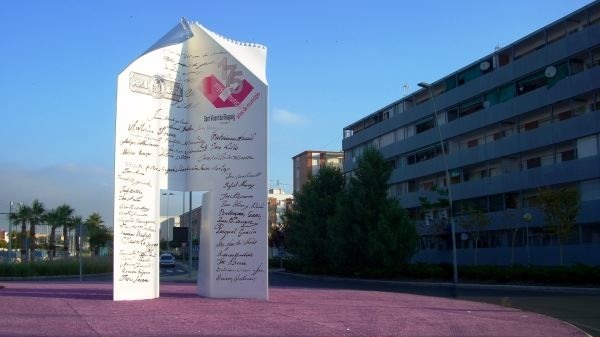 This is a huge sheet of paper from a notebook, and works in the urban space as itself, as a sheet of paper. This way the sculpture can change in the time, with differents drawings and pictures, graffities, etc. Always the same, always different.